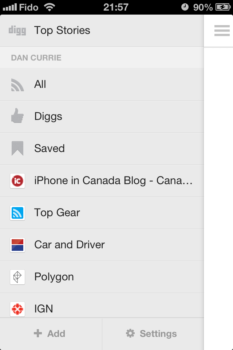 Google Reader is dead, and digg has updated its app with digg reader to replace it. By the time you read this review it will be almost too late to import your Google Reader data (you have until July 15th to do so). But fear not, adding feeds is easy. Just tap the add button on the bottom left of the menu, and you can browse through digg’s categories for feeds, or enter a URL into the search bar, and select the result you want to add. 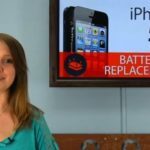 You’ll be reading the latest news in no time. Many options, all cut off, add the top one. Trust me. 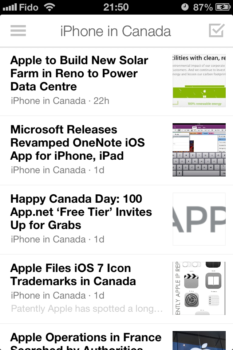 I like digg especially with its flat, minimalist iOS 7 look. I like how easy it is to add feeds, share, digg, and save articles and how the all white space turns black when you’re in a dark room (assuming you enable that option). Although, I did find some issues. When I searched for a URL, I was given many options, all of which were cut off so I didn’t know what I was adding. Also, I if added a feed, then decided I didn’t want it, I couldn’t remove it. I’d have to login on digg.com to do that. If you used Google Reader and now need a new RSS reader app, or you’d like to try one, you can download digg for free from the App Store here. 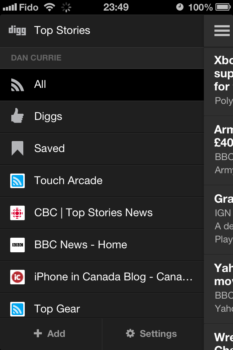 Do you like digg as your RSS reader? 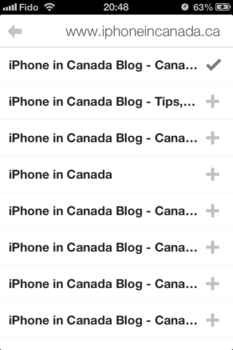 If you prefer another RSS reader app, tell us why you like it better!